AZ SupremeLearn will be expiring May 30, 2014 and all content will be moved to a new learning management system. 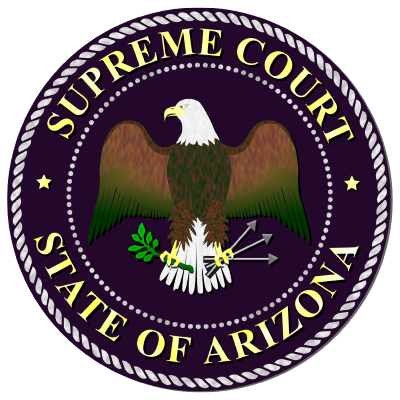 The AZ SupremeLearn site will remain active for 30 days in order to allow current users to complete their training. Any users who have not completed the entire curriculum by June 30 will lose their completion status once AZLearn is shut down and they will have to start fresh on the new system. Content that is started on this system will not be move to the new system. In other words, you cannot start the curriculum on this system and complete it on the new system. All content on the new LMS has been updated. Please PRINT these instructions now as you will need them to complete the registration process and access your training modules. To print, click your right mouse button and select Print from the menu. You may use your browser back button at anytime in the registration process to return to the previous registration page if you wish to make changes to your registration information. 1. To access the online training program click the "AZ SupremeLearn" link in the left pane. 2. The page should default with the Classes tab at the top of the page, if not you will need to click this tab and copy and paste, or type in the Access Code AZLAW in the open field. 3. Click Submit and a small dialog window with the number of folders assigned will appear. Click OK to close this window. 4. Click the My Plan tab and your program folder will appear. You should only need this access code one time. Once you have registered and accessed your program folder you will then be able to login using the user credentials you created.